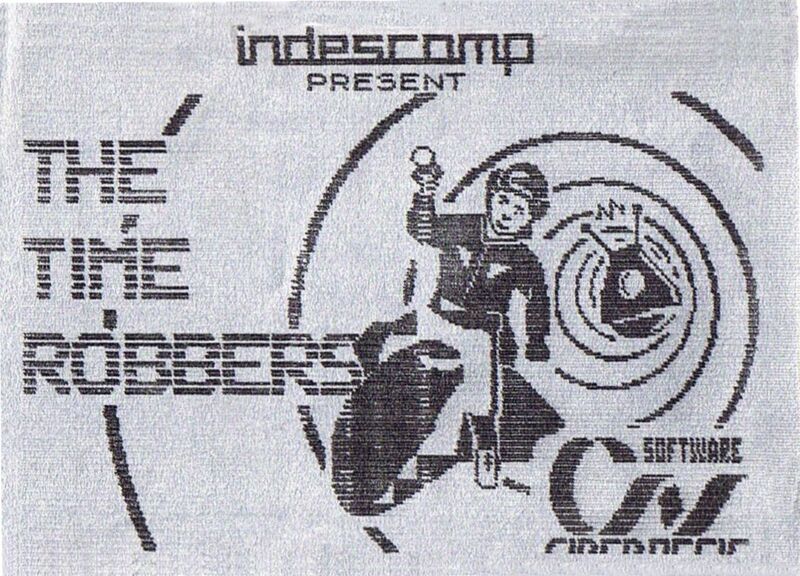 Remarks 'El Trastero del Spectrum' reports: "The Time Robbers" was a game that was reviewed in Micromania nº 1, however it never appeared on sale for the public. Produced by Cibernesis, the company founded by Paco Suarez (author of Pulga, La), it was going to be distributed by Indescomp in 1985. There were two versions of this program, both in English, unlike the image that appeared in its commentary in the Micromania magazine that appears in Castellano, probably for its distribution in the English market. The first version can be described as "short", the other one as "long". The "short" version consisted of a block of BASIC that doesn't work on tape; it was used to load from microdrive and to save to tape. It has been modified so that the loading is correct. The "long" version is unfinished, neither option 1 (Instructions) nor 5 (Election of Protagonists) work.